Symptoms can fluctuate over time. Some patients experience persistent symptoms while others will have prolonged episodes of symptoms in the absence of other medical conditions and remission periods2. About 5-11% of the global population experience IBS, most commonly in women (1.5 to 3 times higher than men) and young people under age 35 years old at the time of first symptom appearance 2. IBS prevalence is 25% less in those over 50 years of age and patients over 50 may experience a reduction in their symptoms. IBS is still one of the most common gastrointestinal disorders for which patients seek medical treatment3 . There are several subtypes of IBS depending on the dominant symptoms. A physician will take a detailed health history and may conduct several different tests to rule out other medical issues that may cause similar symptoms such as inflammatory bowel diseases (ulcerative colitis, Crohn’s Disease), colorectal cancer, carbohydrate malabsorption or celiac disease. Unlike inflammatory bowel disease, there are no visible signs of inflammation or damage to the intestinal walls on imaging for patients with IBS. More recent research demonstrates that an extensive panels of testing did not differ from the symptom based diagnosis in terms of patient satisfaction, quality of life or IBS symptoms7. The exact cause of IBS is unknown but is suspected to be multifactorial including both genetics and the environment. Patients can be predisposed to IBS if they have a family history of IBS or IBD. In about 10-20% of patients, IBS symptoms can persist after acute cases of bacterial, protozoal or viral gastroenteritis7. Other contributing factors include but are not limited to stress, traumatic experiences, altered intestinal microbiome, psychiatric conditions and diet. In a healthy intestinal tract, the cells in the intestinal cells are joined tightly together to form a barrier between the body and gut contents, while having functional channels for absorbing nutrients. A healthy gut bacterial flora helps maintain a normal pH and complete the digestive process. The proposed simplistic progression of IBS is that multiple factors contribute to a weakening of junctions between intestinal cells that allow gut contents to come into contact with immune cells in the deeper intestinal tissues. This triggers the release of inflammatory mediators (eg: histamine, interleukins, TNF-alpha, etc) while signal local swelling and stimulate the local nervous system. Both the local and central nervous system can become hyper-sensitized and react abnormally to even normal stimuli. This produces the sensation of pain and trigger changes to bowel motility that is the cause of either diarrhea or constipation. Mutations in ion channels (genetic predisposition) can change the flow of electrolytes and water between the intestinal lumen and the blood stream which contributes to diarrhea and constipation. IBS can also change the bacterial flora content of the gut. Unhealthy flora can change the motility of the gut and causes excessive production of gasses involved in bloating and distention1. Conversely, psychological stress can cause the nervous system to signal irregular bowel motility triggering either diarrhea or constipation. Chronically, irregular bowel motility may cause changes to gut flora and intestinal cells that lead to IBS. Treatment should be individualized according to the predominant symptom(s). There is no “one size fits all” due to the diversity of IBS and IBS patients. The common treatment options will be listed but the focus will be on probiotics. FODMAPs are a group of small carbohydrate molecules found in everyday foods. While some people are able to consume FODMAPs without experiencing any negative effects, many people with digestive disorders such as IBS, find that ingestion of FODMAPs trigger symptoms including abdominal pain, cramping, bloating, excess gas, constipation and/or diarrhea. For Low FODMAPs diet to reduce symptoms click here. regulating the responses of the immune system, both at the level of the bowel wall and the body as a whole. The hypothesis is that inflammation or disproportion of the gastrointestinal bacterial flora may play a part in the pathogenesis of IBS. The probiotic theory suggests that supplementation of the gastrointestinal flora with the right types and numbers of live microorganisms can improve the gut flora and thus promote health 11. The interest in probiotics for IBS treatment is that on the whole probiotics are generally well tolerated, have a good safety profile and have less potential side effects compared to drug treatments 1. Probiotics are not recommended for immunosuppressed, hospitalized patients or patients with multiple chronic disease and risk factors for infection12. There have been many clinical studies looking at the use of probiotics in IBS, half of which demonstrated benefit. The various studies had differences in study design, methodology, strains used, dosages and treatment periods, making it difficult to compare them12. Not all probiotics are equal. There is research to suggest that certain strains of probiotics may √stimulate an anti-inflammatory response or improve visceral hypersensitivity, which could theoretically lead to an improvement in symptoms of IBS13. The following is a list of probiotic products available in Canada with research for benefits in IBS patients. Please note that the strain or strain combination of the following products have been studied for efficacy and results cannot be extrapolated to other combination products containing one or more studied strains. Level II Evidence obtained from well-designed RCTs (e.g. large multi-site RCT) without randomization. Level III Opinions of respected authorities, based on clinical experience, descriptive studies or reports of expert committees. The National Institute for Health and Clinical Excellence in the United Kingdom recommends taking the probiotics at the dose recommended by the manufactures for at least 4 weeks to evaluate for effect15. In a meta-analysis conducted in 2017 summarizing 21 published studies indicated that probiotics use could improve overall IBS symptoms and quality of life for patients compared to placebo12. Overall symptom response was defined as a greater that 50 % reduction in IBS pain and discomfort or adequate relief of IBS symptoms for greater than 50 % of the time in 7 of 15 studies. Studies examining probiotic dosage show that there is no difference in patient response to high dose (more than 10 billion) and lower dose (3-6 billion) treatments. The studies which had a shorter treatment period of 8 weeks or less showed greater efficacy for symptom reduction, however this may be due to drop or non-compliance with treatment in longer therapy regimes. 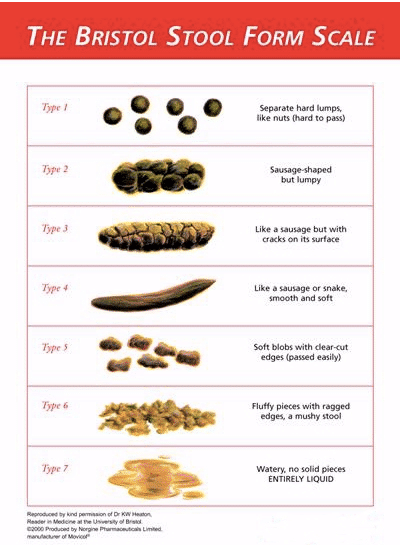 IBS is a chronic condition and long-term treatment is likely necessary12. There has been a rise of multi-strain combination products in recent years. The theory is that multi-species probiotics may produce a more beneficial effects because each species has a distinct action on the gastrointestinal tract or have synergistic effects16. However, Zhang et al found that single strain probiotics appear to be more effective in overall symptom response but not quality of life improvement. The advantages of multi or mono-species probiotics for IBS is still inconclusive. Current data suggest that probiotic supplementation is an effective and safe therapy for IBS in patients with an intact immune system. Single species probiotics at a lower dose with a shorter duration of treatment (less than 8 weeks) appear to be more effective in improving overall symptom response and quality of life for the general study population12.